Re-focusing the Payment Plan… Again. The more I think about it, the more I want to focus on paying down the mortgage. 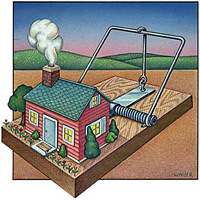 When I paid off the last of my credit card debt, the house just happened to become the top priority. Not for any real reason other than the fact that I already had an automatic payment plan in place. With the extra money around, I just increased the size of my payments. After around a month, though, I realized that it wasn’t exactly the wisest path to take. I switched things up and started paying down my auto loan instead. I also increased my savings rate. Yes, all of this flip-flopping in just 2 months time. I should run for office. I haven’t put anything into place just yet, but while going through my records, I noticed that my mortgage holder (CountryWide) does their escrow analysis on my account each year somewhere between October and November. For the past 4 years, anyway, it’s been one of those two months. Now, my whole point of paying down the mortgage quickly is to eliminate the monthly PMI that I’m paying out of that escrow account. Private Mortgage Insurance (PMI) – PMI is extra insurance that lenders require from most homebuyers who obtain loans that are more than 80 percent of their new home’s value. In other words, buyers with less than a 20 percent down payment are normally required to pay PMI. PMI plays an important role in the mortgage industry by protecting a lender against loss if a borrower defaults on a loan and by enabling borrowers with less cash to have greater access to homeownership. With this type of insurance, it is possible for you to buy a home with as little as a 3 percent to 5 percent down payment. This means that you can buy a home sooner without waiting years to accumulate a large down payment. Well, considering that my regular payment applies less than $300 towards principle each month, an additional $85.15 is like increasing my payment by over 25% — and that’s without sending them an additional dime. That makes it very attractive. As of today, I have $1901 more to knock off the principle before I can safely request that they remove the PMI from the calculation. To be safe, I think I should press to reach that goal by September, at the latest, to ensure that I get there before they kick off their analysis procedure. So, with most of my income for June likely being sucked up by our upcoming vacation, I’m thinking that, to be safe, I’ll have to send around $2000 extra towards the principle spread accross July, August, and the first few weeks of September. That’s a definite possibility if I scale back the current plan of $1000 towards the car and $1000 towards savings each month. That’s right. I went back to my old ways this past weekend. I blew through $1015.88 from Friday to Sunday — and I used a credit card to finance it all. Things got off to a great start — I planned to finally clean out the basement this weekend, and along with some help from a 1 gallon jug of Mr. Clean, the basement (as well as the house) smells lemony-fresh inside. Quite an improvement from the sewage odor we’d been, ahem, dealing with for the past couple of months. We selected the Compaq AMD Athlon SR5421F at Sam’s Club which set us back $399. Every CPU I’ve ever purchased has been Intel-based, so this was my first foray into the competitors market. I’ve also never been a fan of Compaq, but now that they’re one with Hewlett-Packard, well, how bad can it be, right? It is a Vista machine, it has enough RAM to run properly, and best of all, the price was right. I couldn’t justify spending twice that on a machine that would probably work just the same… After getting it all set-up, I just might go back and replace my current machine as well. Odd, after nearly a decade of spending in excess $1500 per CPU, I’m now happy with the $399 version…from, well, basically Walmart. Right now, her PC easily blows the rest of our computers out of the water — performance-wise. The hard drive is a little light, but we’ve got an external RAID on our home network to make up for any shortcomings. In addition to the computer, who can go to Sam’s and not add a few “extras” to the cart? Total bill at Sam’s Club was $472.85. Ouch. While at all three stores, we also priced out the little GPS units you see in so many people’s cars these days. The TomTom, the Garmin, and the Magellan. I don’t really want one of these because I somewhat enjoy getting lost, but at the same time, with our big vacation coming up (and my wife’s iffy map-reading skills), I thought it might be a good idea to pick one up. Not really so much for the directions (the main feature of the device), but more for the little “Points of Interest” they list along the routes chosen. Some of the most memorable things we’ve done on vacation have been at roadside attractions — this vacation, I don’t want to stumble upon them by accident — I’d rather hit them on purpose. So after playing with them all at the store on Friday night, and writing down some prices, I did some research on them on Saturday. I was set on the Garmin models. They won out over the TomTom models because they included Canada in their built-in maps. The Magellan models were far too expensive for me. The two models I was comparing were the Garmin Nuvi 260 and the Garmin Nuvi 350. The Nuvi 350 model cost a fraction more, and boasted lots of additional features — mainly being able to play mp3’s, give traffic advice (for an additional monthly fee), and it was also bluetooth enabled. Okay, three things I have absolutely zero interest in or use for. The decision was made. I was going to purchase the Garmin Nuvi 260 for $221.49 from Amazon. Now, just like any other wireless electronic, they nail you with having to purchase a lot of extras. Added to the unit, I bought a dashboard friction mount so I don’t have to use the ugly suction cup thing in the car. In addition, and since I was spending money like it was going out of style, I upgraded our version of Microsoft Office to load on to my wife’s new computer. The Home & Student Version set me back an additional $97.99. Saturday night, my wife wasn’t feeling well and asked me to go to the grocery store. It was a tough mission since I usually don’t do much other than look at people when in the grocery store. The list included Gatorade, CocaCola, and cherries. Total damage was $18.51. I charged it because I don’t carry cash. D’oh?! To finish off the weekend, on Sunday, I won an eBay auction for a game worn hockey jersey. It was only $52.00, and the shipping was another $7. Not too bad, but still, after the huge expenditures of the previous days, I should have held back. On the bright side, though I went back and used a credit card, I did it wisely this time. I charged all of them on a card with rewards (ooooooh!) and at the perfect time of the month to give me nearly a 40-day grace period. In the end, no worries, I’ll pay it off in full before any finance charges come my way, but this could certainly negatively impact this month’s net worth numbers. 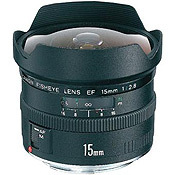 Following the six hundred dollar Canon Fisheye purchase in January of 2007, another complete lapse of financial responsibility occurred a few weeks later. My dumb purchase for February of 2007 was Adobe InDesign CS2 — the successor to Adobe PageMaker, a desktop publishing application. You want to make slick looking PDF files? InDesign is the program to use. To my credit, I didn’t pay the full price…which happened to be $699 at the time. I knew I wasn’t going to use this software very much, hardcopy is *not* my specialty, so I went looking for a legitimate copy of it on eBay. In the past, I’ve had pretty decent luck purchasing software there. To date, nothing totally bootleg has come my way. 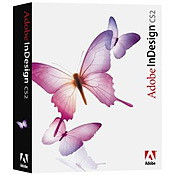 In the end, my copy of Adobe InDesign CS2 set me back $300. Since finishing up that project, I’d say I’ve used the program maybe 5 times. Sure, it’s come in handy in a pinch, but certainly not anywhere near $300 worth of handiness.